Twila graduated from Vandalia Community High School in 1978, Western Illinois University in 1981 and St. Louis University School of Law in 1984. While in law school, she took part in Moot Court Competition and also worked under a temporary law license with the City of St. Louis Public Defender’s Office-Homocide Division. During her summers away from law school, she worked for the Fayette County State’s Attorney’s office. Upon graduating from law school, Twila accepted the position of Assistant State’s Attorney for Effingham County, Illinois where she served for approximately one year under prosecutors Richard Runde and Rick Keller. Thereafter in 1985, she accepted a position in private practice with the then law firm of Schniederjon, Weber, Harvey & Stephens. Initially, her responsibilities as an associate with the firm included bank loan reviews and collections as well as criminal and family matters. She also served as Special Prosecutor for Effingham County, prosecuting select felonies which resulted in substantial prison terms, while teaching law related classes for both Kaskaskia and Lakeland Colleges. Jim Harvey was later appointed judge of the Fourth Judicial Circuit and Hank Stephens left the firm, resulting in the transition to Schniederjon, Weber & Jarrett. 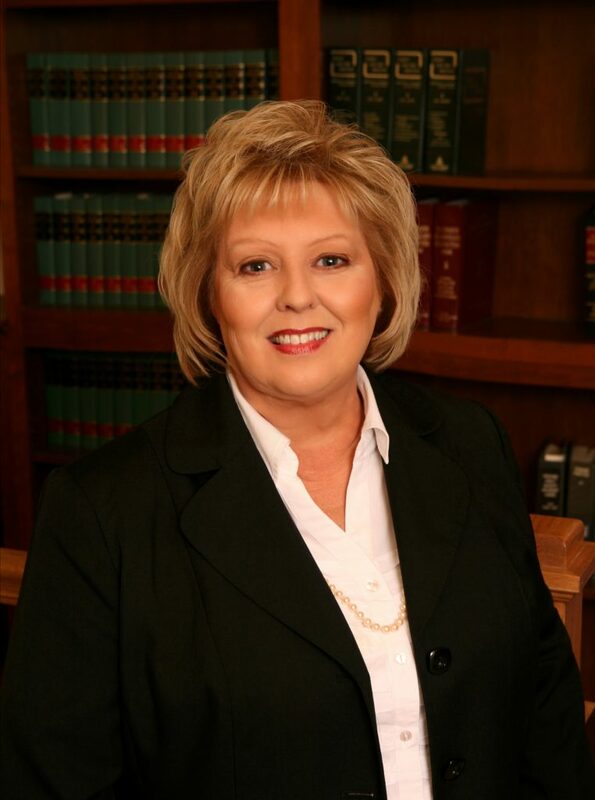 Twila became a partner in the firm in 1988. Jim Jarrett later retired from the practice of law and the firm became Schniederjon, Weber & Orr. After 29 years of practicing law with the firm, Twila chose to live out her lifelong dream and launch her own private practice. The Law Group purchased the building that housed her former law firm, and she purchased their building located at 215 North Fourth Street, Effingham, IL. On January 1, 2014, the Orr Law Firm, LLC was formed and commenced operation. With her in the Orr Law Firm, LLC were two paralegals, Jan Westendorf and Sherri Wohltman. Twila had the good fortune of working with Jan for 25 years and Sherri for 15 years when the new practice launched. Jan worked with Twila and Sherri up to nearly the time of her passing in early 2016. Sherri continues to work for the firm at this time. In addition to general legal representation, Twila is an approved Guardian ad Litem for the representation of minor children in juvenile, adoption and family cases. The Orr Law Firm, LLC also provides mediation services. Twila handles more than 100 mediations annually, has basic and advanced mediation training, and both lectures and sponsors Continuing Legal Education seminars related to family law and mediation topics. Twila is admitted to practice before the Southern and Central United States District Courts. She has argued cases before the Illinois Appellate Court and has lectured for Lorman Educational Services on judgment collections and the Fair Debt Collection Practices Act. She is a member of the following organizations: American Bar Association (30+ years), Illinois Bar Association (30+ years), Family Law Section of the Illinois Bar Association, Effingham County Bar Association (past president), Effingham Noon Rotary and Effingham County FISH Organization (board member). She is the past campaign chairwoman and past president of the Effingham County United Way where she was honored nationally during her tenure for a campaign that produced one of the highest annual increases in donations in the country. As president of the board of directors for the Effingham Child Development Center, she was recognized for her help in saving the center which provides affordable child care to low income families. Twila served for ten years on the Effingham County YMCA board, was past president of the Council of Catholic Woman at St. Anthony of Padua Parish, and was also a member of the Effingham Chamber of Commerce board of directors. She donates at least 40 hours per year in pro bono legal services to low income clients which includes pro bono services to Land of Lincoln Legal Assistance, and she also contributes mediation services on a limited pro bono basis. Twila is married to David Orr, Sr., who retired as lieutenant from the Vandalia Correctional Center in 2011. They have two children. Laura Orr graduated from St. Anthony High School in 2008, earned a business degree with economic emphasis from Southern Illinois University in Edwardsville in 2013, and now resides in the Central West End of St. Louis. Laura is employed by Mills Properties where she is involved in real estate development, property management and leasing; she has received numerous awards for her success as a leasing manager. David Orr, Jr. graduated from St. Anthony High School in 2010, earned a business degree with entrepreneurship emphasis from University of Arizona in 2013, and now resides in his home on Lake Sara in Effingham where he owns and operates various companies including Social Holdings, Inc., a social media management company delivering over 2,000,000 advertisement impressions daily. His success in business has allowed him to reside in South Africa during the winter months and also travel extensively throughout the world.